Thus the history of science is the history of words falsifying reality. The theories of 100 years ago are mostly fictions or myths now, and in a 100 years time current theories will be myths as well. Words cannot capture the totality of reality as the history of science shows. Because of the inability of language to capture reality and the fact that it in fact falsifies it man is decentred from his privileged place at the centre of the universe as a privileged knower of the universe. This realization and decentreing means that science need to reinvent itself and find more appropriate ways of seeing the universe. 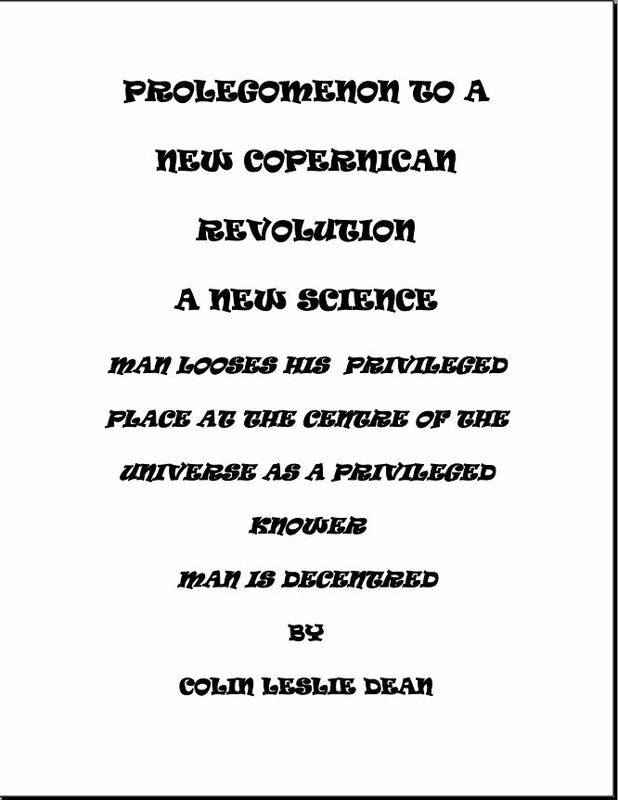 We have a new Copernican revolution we have the dawn of a new science.